Start: Immediate, respecting advance notice. Depending on the level of experience. 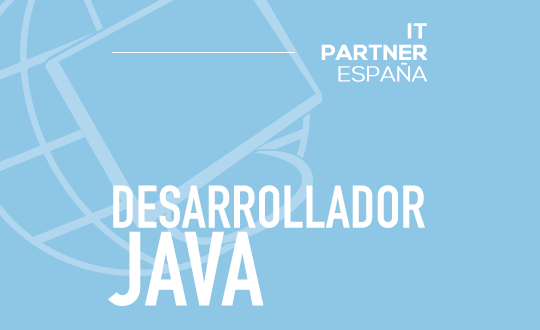 Please send the detailed CV in European format to the address seleccion@itpartner.es indicating the Advertising Code 2019-142-VA-JAVA and specifying the consent to the processing of personal data according to the current legal provisions in accordance with the provisions of the Law Organic 15/1999, of December 13, Protection of Personal Data.